The brand name Label Rouge identifies a product that is reared in a typically French production system. The origins of the Label Rouge brand signifying a superior type of chicken go back over 40 years. This type of quality chain, widely spread across France, is a market model that in recent years has also registered growth in many other countries and has generated much interest. The Label Rouge, in general terms, is a type of quality certification used by all those producers who adhere to particular production specifications. 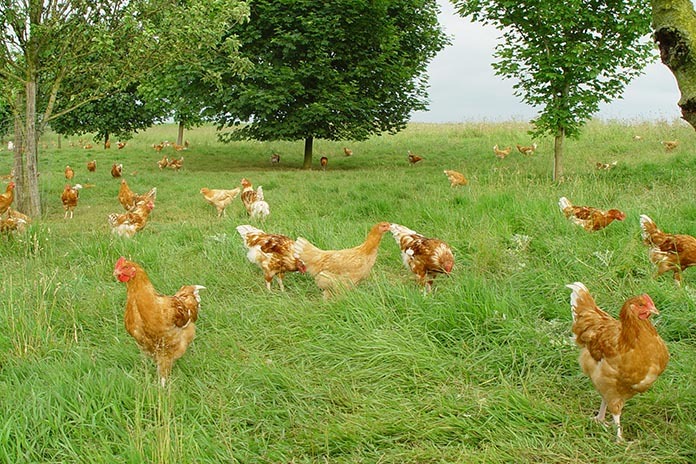 Production specifications are based on values such as animal welfare, rustic growing conditions, and regional territorial links representing a great marketing opportunity especially for small and medium sized farmers. The creation of the Label Rouge, which took place in the mid-60s, is essentially motivated by two factors: one is the will of the agro-livestock sector to re-evaluate the quality of their products, the other being the institutional will to protect the smaller producers from the effects of industrial scale poultry farming thereby encouraging a type of family production. The chain promises to maintain the independence of each operator, encouraging them to obtain high quality levels with greater added value. Label Rouge products can command a premium based on two factors one vertical – that is the higher in store placement of products and the other being horizontal – namely allowing for a varied selection of producers within any given sector. The quality policy of French agro-food products, with Label Rouge as a principal factor, is experiencing in recent years important development in growth due to the increase in the number of operators who engage in a “quality route”; the volume in growth of the various products; the extension into new agro-food sectors and, above all, growing consumer demand. The strategy of certified products has therefore proved successful and today this quality product transcends national boundaries. What are the reasons for this success? Why are consumers willing to pay more? The key to market penetration is, on one hand, the superior quality of these products compared with the conventional ones that derive from animals raised in confined environments and, on the other hand, customer confidence in the series of controls that guarantee their genuineness. Basically, it is rewarding action on animal welfare, showing appreciation for regional species and the trace-ability system, whereby via an identification number on the individual cuts sold, product can be traced back through two generations to grandparent level. All this is overseen by the State and this generates confidence among consumers leading to them preferring the Label Rouge brand over the standard one despite a higher average cost of 50%. This voluntary collective model promotes the production of high quality foods within the realms of sustainable rural development and biodiversity. It promotes family farming while using extensive methods and maintaining a good level of efficiency and making use of the assistance of new technologies. There is also an ethical dimension apart from an economic one that consumers seem to have understood and shared. 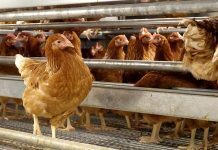 The hardy breeds preferred are slow-growing strains, grown in free range chicken sheds with exposure to natural light with a maximum covered surface area of 400 square metres and with no more than 4 buildings per farm. 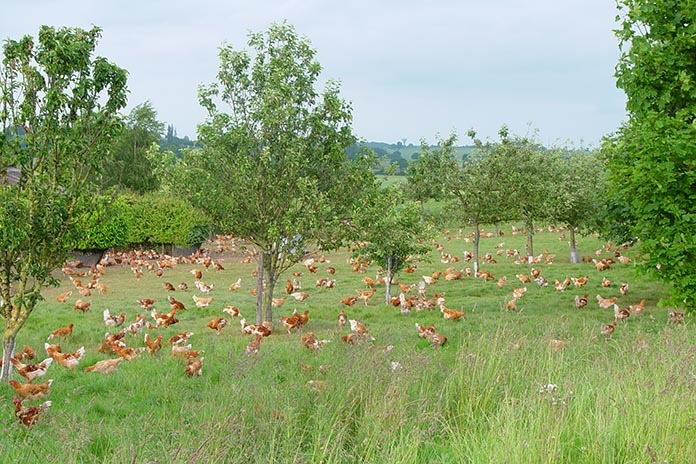 Flock stocking rates must not exceed 11 birds per square meter and 25 kg per square metre while the outdoor surface area must allow for at least two square meters per bird. During the growing period the diet should be exclusively vegetable and contain a minimum of 75% cereals and cereal-based products, while the rest is represented by vegetable proteins (pea, bean, broad bean, alfalfa). Birds cannot be slaughtered before 81 to 110 days of age 110 depending on the strain, which is a slaughter age that is at least double that applicable to conventional chickens. The specifications state that the transport to slaughterhouses must not exceed two hours or 100 km away. The average weight of the oven ready chickens is between 1.20 and 1.70 kg. 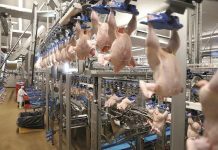 The shelf life after slaughter for vacuum-packed or protective atmosphere packaged chicken is up to 10 days for whole birds and up to 14 days for portioned products. The production process involves farmers but also feed mills, slaughter plants and the point of sale network with checks being carried out by third party organizations. Many of the breeds have already achieved European recognition under the Protected Geographical Indication scheme, which identifies regional specialties, which are guaranteed by the collective red label trademark. The Label Rouge brand is managed by Synalaf (Syndicat National des Labels Avicoles de France), a trade organization that brings together everyone involved in the supply chain, formed in 1967 to represent the regional organizations of poultry meat and egg producers. The brand products Label Rouge and Bio French have a good dynamic, with a positive net rate starting from 2010 with a growth trend that continues. In 2016 total poultry production of the Label Rouge brand has stabilized, compared to 2015, at around 110 million chickens. The highest percentage of the certified birds was naked neck chickens with a production level of around 50 million birds. 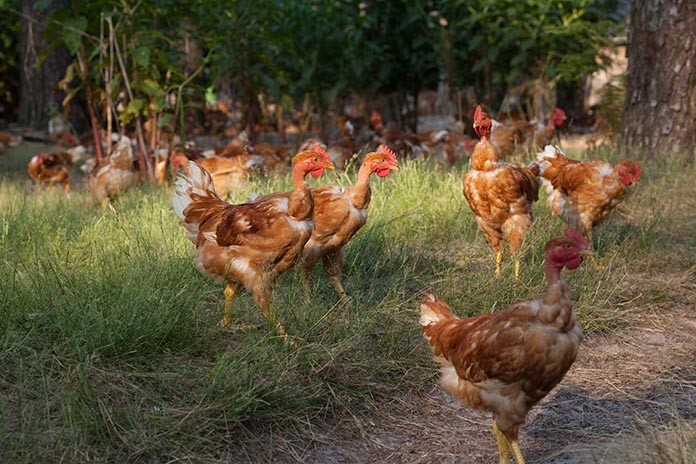 Nearly half of French poultry farms are involved in the growing of the Label Rouge and biological brands. 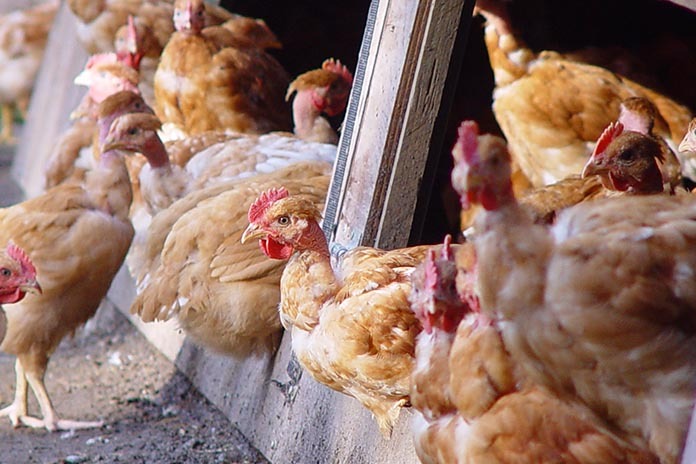 In 2015, the Label Rouge and Bio poultry accounted for 17% of the certified poultry slaughtering. 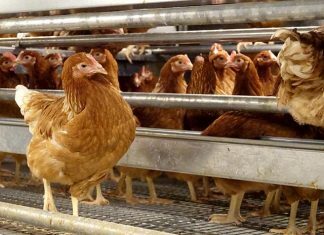 The Label Rouge pullets housed in 2016 were 1.8 million, representing a 75% share of the national total. 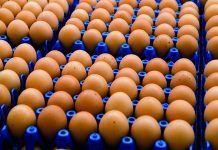 Also in 2016, eggs marketed under the brand name Label Rouge showed an increase of as much as 11% when compared to the 2014 data. In the bio sector 9.7 million birds were housed in 2016, an increase of 13% compared to 2015. We can therefore say that 50 years after its creation, the product Label Rouge continues to brilliantly meet the needs of increasingly demanding consumers.